No matter what industry you’re in, there are certain things you have to do to make your business successful. That includes training your employees well, managing your finances carefully, and having a killer marketing strategy. But there’s arguably no aspect of business more important than the connection you have with your customer base. Customer relationship management (CRM) is so important, it has led to a line of software products. CRM software is designed to streamline the applications necessary for good customer service practices. This can include everything from logging complaints to making sure the whole team knows what steps to take when a complaint escalates. CRM software can be a great resource for any business and can be great for improving customer relationships. There are plenty of different options on the market when you’re shopping for a CRM product. Among the most popular CRM solutions out there is Salesforce. Constantly used by companies of various sizes and across multiple diverse industries, Salesforce has gained a reputation as a great product. But how great is it, and is it for everyone? Does it have any major drawbacks you should know about? Here we’ll review Salesforce and discuss how the product’s features can be used to benefit your business. We’ll also delve into the pricing options, how this product compares with the competition, and whether it is an overall good choice. How Can Salesforce Help Your Business? ​Final Thoughts: Is Salesforce Right for Your Business? Salesforce.com Inc., also known as Salesforce, SF, or sometimes as SFDC, is a cloud computing organization based out of San Francisco, California. The company has many revenue streams, including offering commercial applications social networking sites – however, their biggest product is undoubtedly their hit CRM that shares the company’s name. Salesforce (the company) understands business and they know how to keep their employees happy. They were even rated as one of the top 100 companies to work for in 2018 by Fortune. Founded by an Oracle executive in 1999, the company launched its first software product late that year. Just five years later, their initial public offering was listed as CRM – fitting given their specialty. They raised over $110 million, and they continued to launch successful products and expansions. Their feature product shares the company’s name, so it has to be good – and according to the way it sells and the reviews it has gotten, it is. Based around scalability and integration, it is one of the most adaptable and easy-to-use products out there. The software is designed to store all your important customer data in a single, easy-to-navigate portal. The system is built to offer a “360-degree view” of customers. What exactly does this mean? It means you can see the customer’s profile, contact information, product history, inquiry history, and more. Having all of this information in one place makes it much easier to manage the relationship efficiently. There’s also a number of in-app tutorials to help you learn your way around the program, meaning it is very easy to pick up and use. This makes it extremely useful for companies that are using the CMS for the first time, or those who are switching to it from a similar program. Whether you want a product that makes customer relationship management simple or you want a robust tool that can scale with your business, this product has the features you need. The ability to grow with your business makes this software a great tool you can use in the long-term and one that won’t limit you as you gain more customers. So, we know that there are plenty of features in this software from customer profiles to handy tutorials that will guide you along no matter how well you know the program. But what are the other specific areas you can benefit in thanks to Salesforce? Every software program on the market touts its features as its selling point. This is perhaps the top strategy software companies use to promote their own products, maybe only next to the price – but more on that later. But the worth of a program depends on how it can help your business. Just like your products and services are only as good as their ability to help customers solve a problem, this CRM software is only as good as the benefits it can offer your business. The first thing any manager will tell you (especially when they see you dragging your feet) is that time is money. Businesses don’t have time to wait around, and they take this mentality because customers think the same way. Buyers like to get in, get what they need, and get out. The same thing is true when they’re on the phone, in a live chat, or having any other type of interaction with a company. Whether they’re buying something, returning something, trying to get a refund, or filing a complaint, they want to make sure they get their issues handled in a timely manner. One of the main benefits of Salesforce is the way its organizational capabilities improve speed. When you have everything in front of you that you need to help a customer, you can help them get what they need quicker. This is more likely to help them have a good experience, which is more likely to make them want to buy from your business again. Every minute and every second you don’t have to spend going through spreadsheets, looking up emails, logging calls, or tracking customer complaints translates to more time you can spend on other areas of the business. 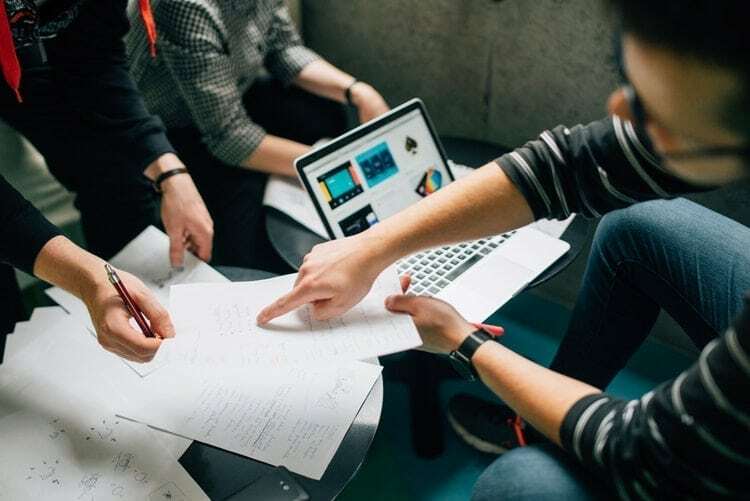 If you’ve ever felt that managing customer relationships is something that takes more time from your business than it should, you should consider getting new CRM software. 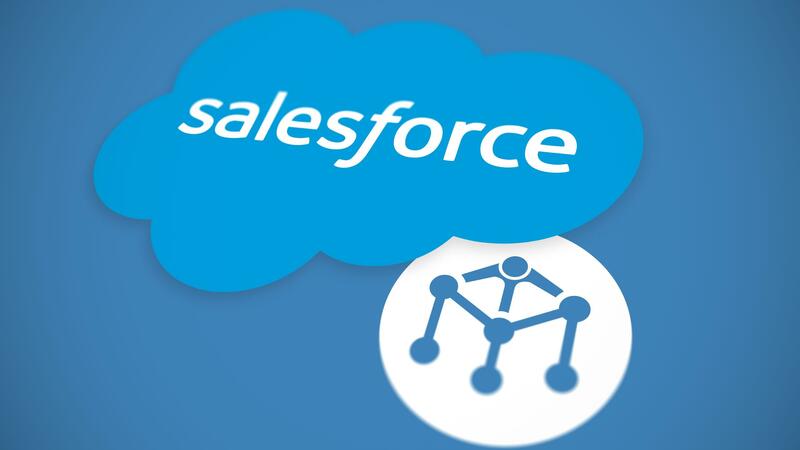 Salesforce also offers a mobile app, cloud storage options, and plenty of integration capabilities so you can attach third-party software products you use for your business. But one of the best reasons to purchase this product is for the scalability it offers. One of the most important things about any tool you use for your business is how scalable it is. You don’t want to start using a tool then end up having to replace it once you gain more clients. That costs you additional money, and additional time since you’ll have to learn a whole new tool. With Salesforce, you can get a tool that is designed to meet the news of enterprise organizations and corporate chains. Many companies that use Salesforce find themselves switching to it over smaller similar programs, both for its wealth of features and its ease of use. The alesforce AppExchange store allows customers to build customizable setups that meet their specific needs. They can do this through choosing which third-party apps they’d like to add into the software. There are both free and paid options available, and it’s very convenient to be able to tailor your selections to your business. The only thing that makes Salesforce a little more complex than some of its competitors is the implementation process. This is somewhat necessary, though, as the software is much more versatile and in-depth than a lot of other CRM options. It’s necessary to install and configure all the options you want, which does take some time, but the benefit is you can do a lot once everything is set up properly. 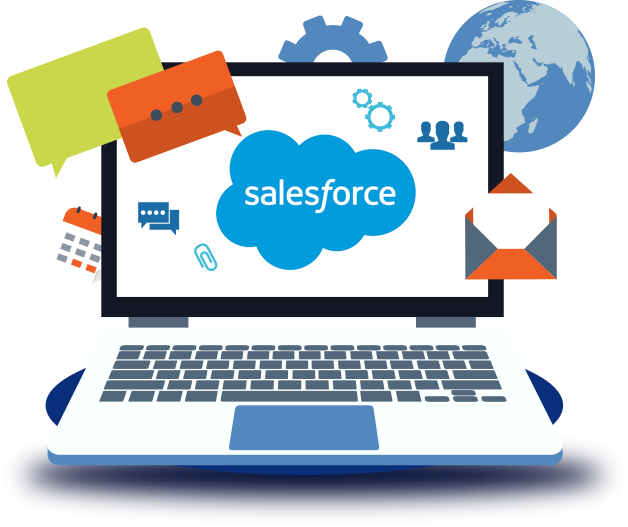 Salesforce works just like anything else with your business – as you expand and implement more tools, you will need to do additional training to get used to the new features. This training can sometimes be cumbersome if you add a lot of features at once, so spacing things out can be helpful. Finally, this CRM solution is great when it comes to compliance management in industries with unique regulations. Healthcare, finance, and IT organizations will be able to make sure they stick to the rules of their industry as they use this tool. You can choose between four different purchasing tiers with Salesforce. Lightning Essentials costs $25 per user, per month, and can be used by up to five different users. Upgrading to the professional version bumps the price to $75 per user, per month, and can be used for teams of different sizes. Lighting Enterprise costs $150 per user, per month, and is useful for enterprise organizations. Lighting Unlimited offers a wealth of new features and functionality for the price of $300 per user, per month. Subscription costs should be viewed as more of starting points than final expenses, as you’ll likely integrate a number of paid apps before getting your final setup. Salesforce is one of the best tools in its field. Though there are a lot of competitors, there is a reason Salesforce has stayed so popular over the years. 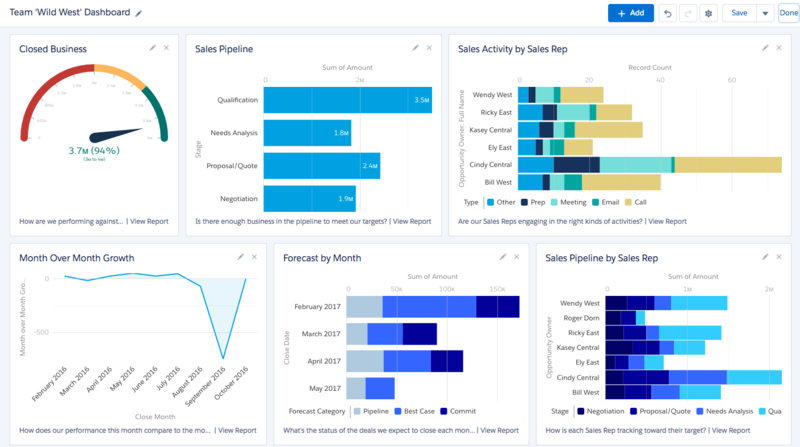 With an approach to CRM software that aims to grow with businesses and help them solve their problems, the product has become a staple of many organizations. No matter what size your business is or what industry you’re based in, this software is a great choice. But there’s a question many people have about upgrading to Salesforce from a lower-grade CRM or no CRM at all. That question is simple – how hard will it be? Sometimes introducing new technology into the workplace can be a welcomed change, and can put the entire team on the right track, while at other times it can induce groans from everyone who sees it. What can you expect if you switch to this software? Let’s say you’re no stranger to using software portals to help out with your company’s approach to customer relationship management. In fact, you use a program right now that offers you a lot of great features and has served you well thus far. But now you’re finding your CRM isn’t cutting it the way it used to. Maybe you’ve added so many new clients the software just can’t keep up with your company’s progress. Or maybe the number of user licenses you have just aren’t sufficient to support your growing team, and you’d rather upgrade to a new CRM altogether than simply buy more licenses of your current program. In either case, upgrading to a new software program can be a big change, but it can be worth it. When you move from a smaller program to one like Salesforce, the differences may be apparent immediately. You should use the tutorials and try to get a good grasp on the fundamentals, as your old CRM may be vastly different than this one. Let’s say you’ve never used any CRM software for your business previously. You want to jump right in with one of the biggest and most well-reviewed options on the market in Salesforce. You’re making a good choice, but what kind of learning curve should you expect? Like someone upgrading from a smaller program, you’ll need to spend a good amount of time studying up on the tutorials and researching the demos. You can also look into YouTube guides for using Salesforce. The benefit of starting fresh with this CRM is that you don’t have any expectations coming in, or old habits from previous CRMs to break out of. If you have a small business, as in a startup or a tiny team of a dozen or less with no more than one physical location, you could probably get by using smaller CRMs. Some of them are cheaper, and some of them may even be a bit easier to use depending on what type of software you gravitate to. But if you work for a larger company or an enterprise organization, you’ll want to consider Salesforce. For the money, it is hard to do better in the area of CRM and you can customize the software in an almost limitless number of configurations. It’s efficient, it’s versatile, and best of all, it’s great for helping you maintain positive customer relations.